Eleven readers love this post. DrinkWire is Liquor.com’s showcase for the best articles, recipes and reviews from the web’s top writers and bloggers. In this post, Boxes and Booze offers a deadly cocktail. Ghouls, ghosts, and ghastly gentlemen alike all have one thing in common - they all love a stiff drink. "Stiff" as in, dead guy .... Ok, ok, groans are good on Halloween, right? One thing we can all agree on is that Halloween is the perfect time for some liquid adult treats, and luckily I've got just the trick up my sleeve. The classic Boulevardier, named after the very much alive bon vivants and stylish gentlemen who strolled the Parisian boulevards in the nineteen-twenties, was created by Erskin Gwynn, who wrote a magazine of that same name for American expats. 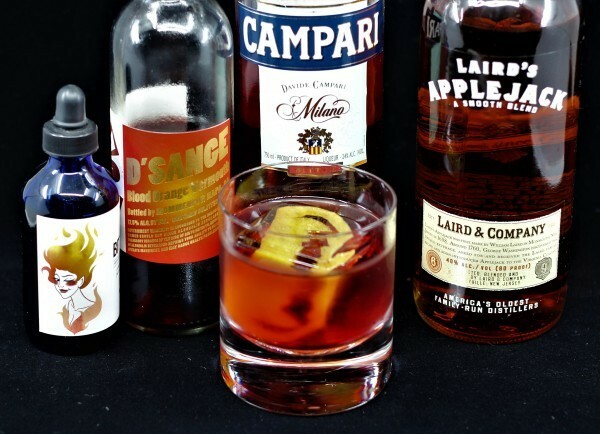 This deliciously autumnal variation features applejack, one of the earliest spirits in America. George Washington's troops were given rations of the stuff - you might even say it's so old, it's revolutionary! 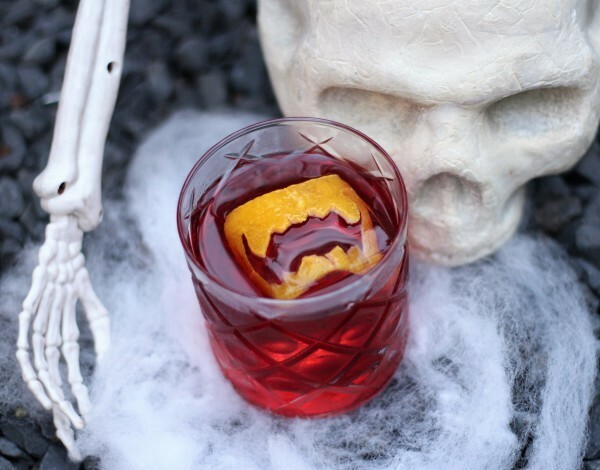 Mixed with a sweet vermouth and some Campari, the resulting drink would look perfect in the hand of the most stylish of spooks, and tastes so good you'll need to fend off those fiends who want a sip. What the hell, just mix one up for them too. Happy Halloween! Stir together with ice and strain into an eyeball glass. Oops, a high ball glass. Garnish with a set of citrus peel fangs frozen inside a clear ice cube. Cheers! Cocktails and puzzle boxes ... an unusual and entertaining diversion of hand crafted creativity. Fine woodworking, artisanal spirits, the puzzling yet poetic symmetry of art and history in its many manifestations. Cheers!